A skin-over-frame rowing shell. 23' long weighing only 38 pounds. 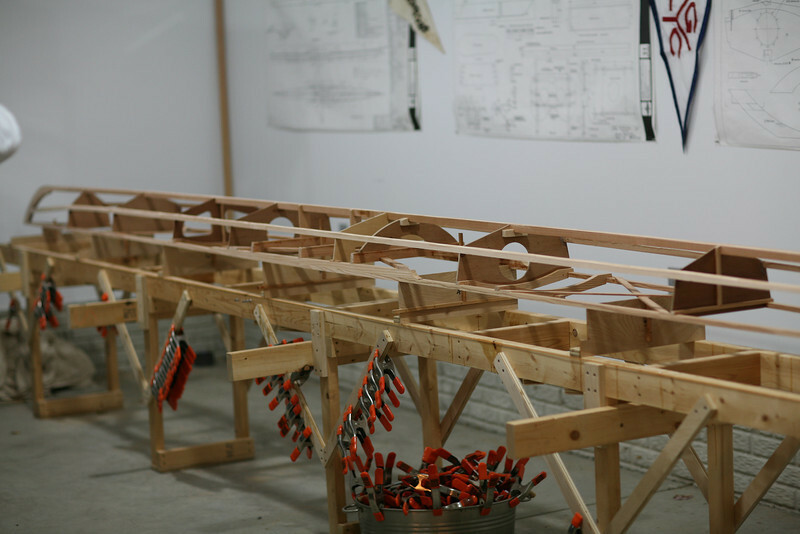 The hull is built on an assembly jig which is carefully aligned and anchored to the concrete floor. Looks like a lovely boat! Very nice craftsmanship. I am looking for a Kingfisher for my own use in Gloucester MA . Just thought you might know of one for sale. Happy Summer!